There I stood, in Santa Barbara but also in the doorway to Whole Foods, that grocery store chain beloved by foodies and yuppies, moneymakers and tastemakers. It may shock some to know that I, as a result of growing up in between the chunks of Northern and Southern California that Whole Foods has conquered so far, had never set foot in a one of these stores before the Santa Barbara location’s October 6 sneak preview. 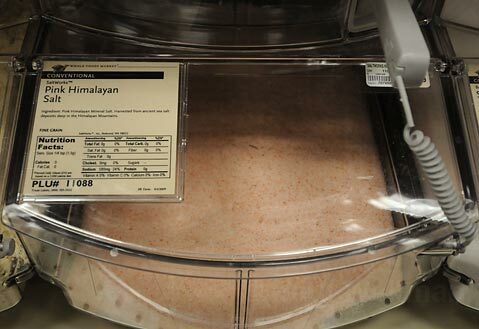 (Really, my closest encounters with the store were those stampede scenes from Top Chef, in which frenzied contestants of the show dump handfuls of ingredients into baskets. I felt compelled not to recreate these scenes on my first visit.) However, this newbie must admit that the reputation that precedes Whole Foods isn’t entirely deserved. For one, it’s not necessarily the bank-breaker that gave rise to those “whole paycheck” jokes. Yes, a hungry person with cash to burn could easily rack up hundreds of dollars in food and household items. And many of us in Santa Barbara probably know someone who will do just that. The rest of us, however, have what the store has dubbed its 365 Everyday Value line. The snootier may sneer and call it “Partial Foods,” but an extensive line of products priced comparably with those from mid-level grocery stores will appeal to the throngs of curious shoppers who, like me, will be perusing Whole Foods aisles for the first time. Secondly, Whole Foods is just a grocery store – one with kombucha on tap at its juice and coffee bar, sure, but just a store nonetheless. The heavens didn’t part and angels didn’t descend bearing antioxidant-enriched, double-hyphenated superfoods heretofore unknown to Santa Barbara. Just like Trader Joe’s, Gelson’s, Ralphs, Vons, and every other chain store in the county, Whole Foods sells items grouped onto logically arranged aisles. You push a shopping cart and take what you want, perhaps selecting the modestly prices things over their fancier counterparts. The Whole Foods selection is exceptional in that certain items exist in greater abundance and variety than they might at mid-level markets: Those who cannot or would rather not eat gluten have plentiful options, for example, while those seeking organic food can not only find it but also often learn the specific history of that food item – who made it, where it was made, what healthy stuff went into it, and what hormones and pesticides didn’t. 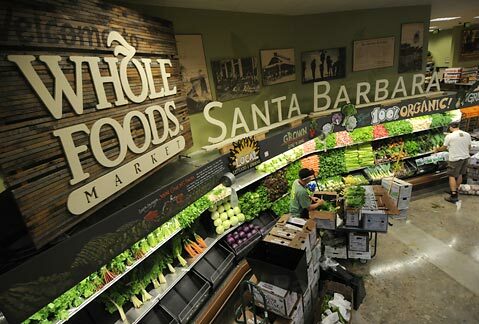 It’s worth noting that Whole Foods uses the word “local” to mean variously “from Santa Barbara,” “from the tri-counties area,” or “from the state of California.” Products are marked to differentiate which ones comprise the 25 percent grown in SB or the tri-counties from the 50 percent grown elsewhere in the state. 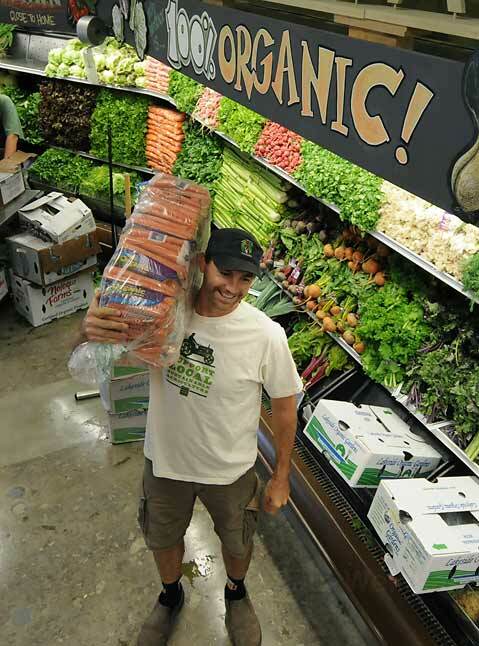 In other words, the foods may not be grown precisely in your own backyard, but the store still prides itself on bringing quality products in from a reasonable distance away, ideally delivering fresh fare whose trip to Santa Barbara creates fewer emissions than if it came from across the country. 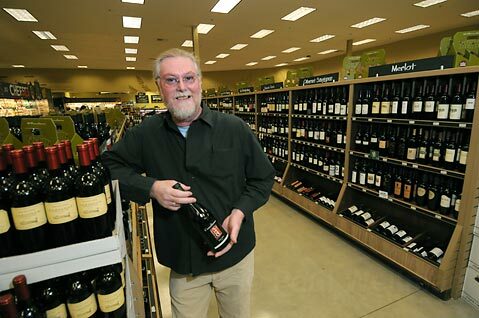 General Manager John Jurey holds a bottle of Consilience 2006 Pinot Noir, one of the many local labels in Whole Foods wine section. It remains to be seen exactly how Whole Foods will fit into Santa Barbara’s retail landscape, but I feel secure in predicting that even those wary of the chain or chains in general will come to enjoy a long list of amenities that includes the usual ones – a bakery case, a pizza oven, fresh coffee while you shop – and some attention grabbers – made-to-order sushi, the gelato bar, or the option to have any seafood purchased marinated and seasoned while you’re shopping. 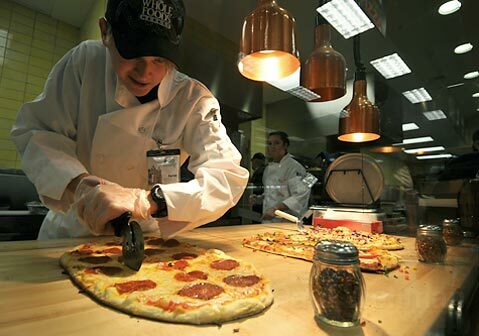 The Whole Foods staff is doing whatever it can to lure you in during the opening week. The first 200 customers today receive a grocery tote. On Thursday, the first 200 receive gift cards varying in value from $5 to $100. And on Friday, the first 200 receive a tumbler and free coffee. Sunday shoppers showing up between 11 a.m. and 3 p.m. can get a free tour of the place, with the intention being that newcomers can learn buy food while saving money. 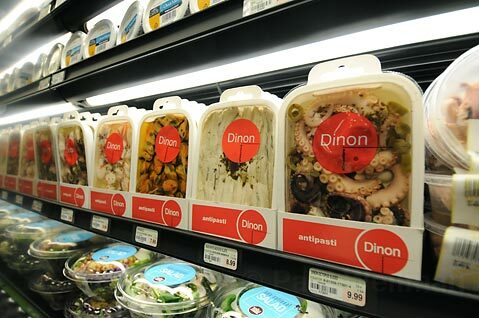 And trips to the salad bar, normally $7.99, will initially be priced at $5.99. Whole Foods is located at 3761 State Street. Hours of operation are from 7 a.m. to 10 p.m. If you’re for some reason inclined to follow the store on Twitter, do so at twitter.com/wfmsantabarbara.